In 2016, Skyline only had three different grades: sophomores, juniors, and seniors. This enrollment reached 1,443 students, almost 3 times as large as the average high school size in Utah, which is 514 students. Despite Skyline already being an above average sized school, the Granite School District administration has decided to bring the freshmen class up to high school as well. And, while most would disagree, moving the younger class up to Skyline was more beneficial than it was detrimental. The problem at hand is crowded halls, though like I said before, the halls were already filled up with the 1,443 students last year. Adding another class of students does make the halls much more crowded, however, you must ask yourself this simple question: Has a crowded hall ever stopped me from getting somewhere on time? No, it does not matter how many people fill the halls of Skyline High School, you can get from one side of the school to the other in five minutes or less. Don’t get offended by this, but if you have ever been late, that’s on you. Which, if we are being honest, all of us have probably been late once or twice. At the end of the day, the crowded halls are not a problem as far as getting places and finding people. But what about all the new classes? 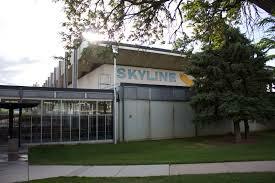 It is true, Skyline has more classes to make up for adding 9th graders. In addition, however, the staff also added directions for the type of classes you are looking for. That has made finding your class easier than ever, including having time to relax and not worry about being late. If you have a list of your classes with the class number, which we all get, you should have no problem getting to the right class. I know I have not convinced any upperclassmen yet. For those people, think about this movement through the eyes of a freshman. I remember specifically having to miss extra classes as a freshman to get to the high school baseball practice on time. While the Sophomores and up simply head to the field after school, I needed to get out of school at least 45 minutes early to make the walk up. This isn’t even mentioning games when I would have to get out even earlier and even had to miss up to 3 classes. Missing one class twice a week is hard enough to stay caught up with. 3 classes? That is simply near impossible. In addition, I know for a fact Skyline has their athletes take Baseball, Basketball, or Football as a class. This is cheating the freshmen out of getting proper training in preparation for the upcoming season. They cannot take the classes, forcing them to miss out on lifting weights, running, and practicing during school. Plus, does any freshman really want their high school experience, athletic or academic, to be split into 2 different schools? Didn’t think so. 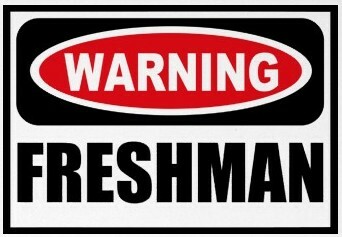 However, this is not how every freshman feels. In fact, Justin Perry said, “I honestly would have been just fine spending another year in junior high. The age gap is just too big for me.” It’s true, the younger freshmen can only be 14 years old, and sharing the hallways with people who just turned 18. This age gap may sound huge, but let’s really put that number into perspective. If you are 25 years old, is it uncommon to work with people who are 30 years old? Not at all. In fact, that is extremely common. Is it strange to be married to someone more than 4 years younger or older than you? It may surprise you how many marriages have that big of an age gap. Sure, those examples are more in the future when age seems a little bit more irrelevant. For that reason, let me take an example from a younger age, perhaps, 6 years old? That is the age of your average 1st grader. With the 6th graders moving up to middle school, the 5th graders are the oldest in elementary school, this could mean up to a 5-year difference in elementary school and, if the 6th graders stayed in elementary, you are talking about up to a 6-year difference. That really puts the 4-year difference into perspective. Another reason for keeping the freshmen in junior high would be the stress of high school. Many freshmen, such as Sam Evans, would, “prefer to have spent this year (2017-2018) in junior high. I really don’t like the stress of being in high school this early.” Let me ask you this question: is high school more stressful? Sure, the school is bigger, and the grid layout makes it more confusing. But would it be easier to get a good grade in middle school rather than high school? Didn’t think so. Plus, the high school teachers are way less strict than junior high teachers. I never remember being able to use my phone, listen to music, or even chew gum in junior high for the most part. And this is more than just wanting to have those freedoms. I have noticed in myself chewing gum and listening to music helps me focus on my task and get things done, rather than procrastinating until I have to cram it in for homework the night before. In Skyline, the teachers are much more lenient about those things, and that really helps lower stress and increase focus.